BHARUCH- PRIMARY AND UPPER PRIMARY MA CLASS RELATED KARYAVAHI KARAVA BABAT PARIPATRA DATE- 3-4-2018. Previous articleGUNOTSAV 8 (2018 ) THIRD TIME TABLE- USEFUL FOR ALL SCHOOL AND TEACHER. 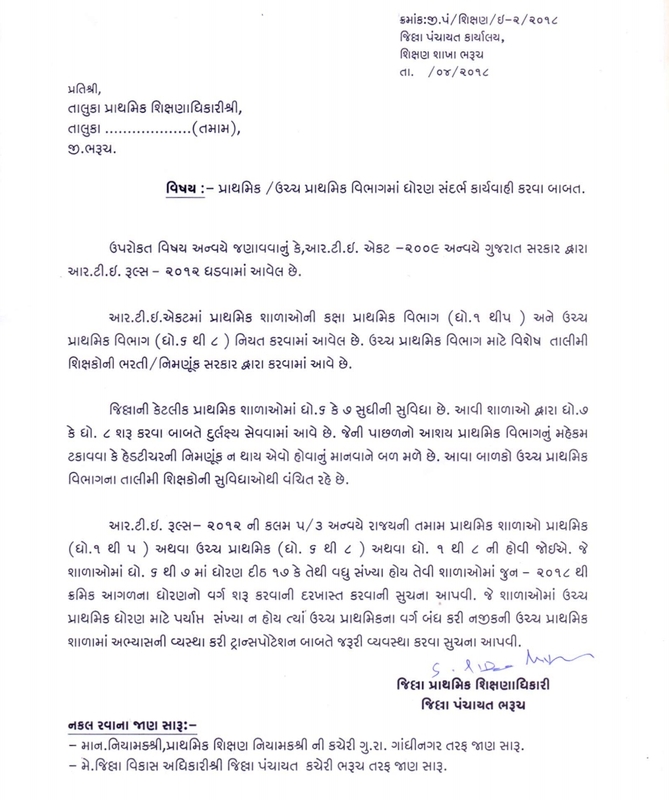 Next articleBANASKANTHA- PRIMARY AND UPPER PRIMARY MA CLASS RELATED KARYAVAHI KARAVA BABAT PARIPATRA DATE- 28-3-2018.